Myrrh, an exotic biblical spice, was used in purification and beautification rites, in the formula for the Holy Anointing Oil, and in burial spices. Queen Esther was bathed in Oil of Myrrh for six months and with other aloes and perfumes for another six months before her presentation to the king. Bitter to the taste but sweet to the smell, myrrh in the spiritual sense speaks of dying to self to become a "sweet smelling savor" to the Lord. Abba's Myrrh anointing oil is a unique blend of pure olive oil from Israel with an essential oil base of Myrrh. Abba's Myrrh anointing oil is a unique blend of pure olive oil from Israel with an essential oil base of Myrrh! SPECIAL 20% OFF! We have made available for purchase our 8 oz of Myrrh Oil in a separate amber plastic container, which may be poured into any one of our beautiful decanters. In this way, you may choose which decanter you would like to see hold the precious anointing oil. 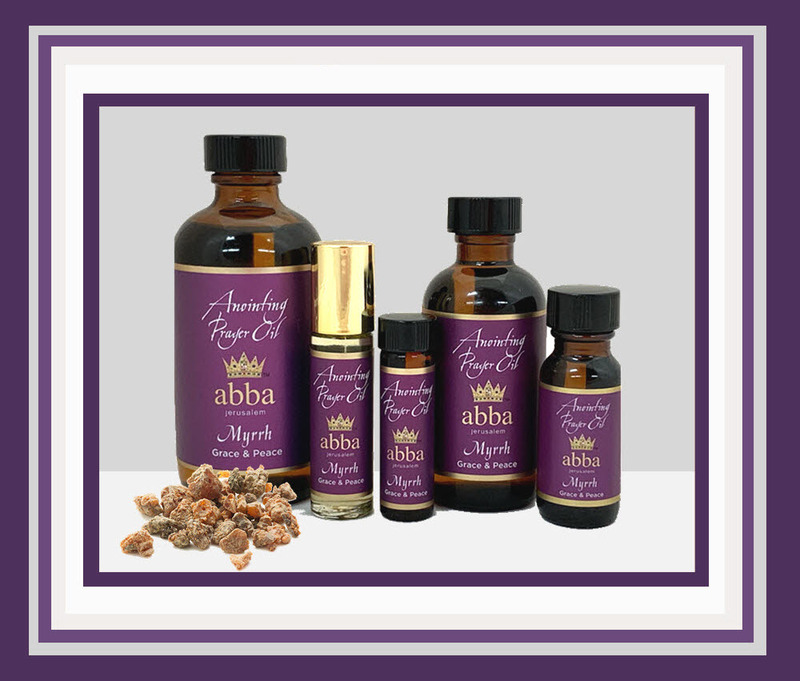 Abba's Myrrh anointing oil is a unique blend of pure olive oil from Israel with an essential oil base of Myrrh.